Barska® 7x50 mm Waterproof Deep Sea Floating Binoculars set sail with a range - finding reticle! Binoculars that are as at home on the water as you are! Barska® 7x50 mm Waterproof Deep Sea Floating Binoculars give you every feature you need on the water including 7x magnification (most popular size because of the steady image achievable under rough sea conditions) and exceptional optics. 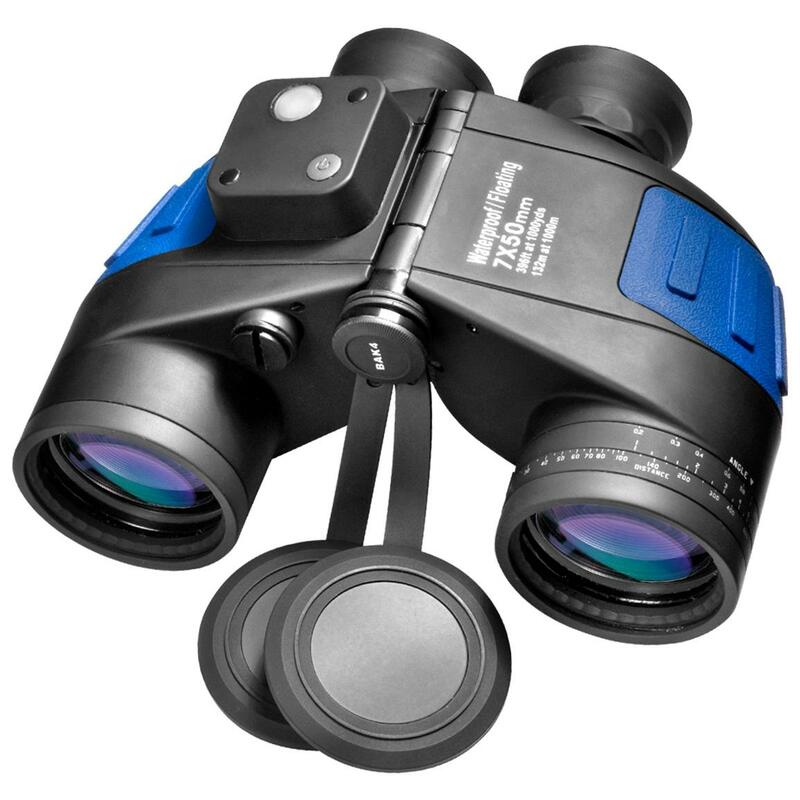 These Binoculars provide clear views of marine observation from sunrise to sundown. Even better, these Binoculars feature a range-finding reticle to take the guesswork out of distance on the water. 7x magnification offers the optimum blend of magnification and image steadiness under rough sea conditions... range-finding reticle helps you measure distance on the water.